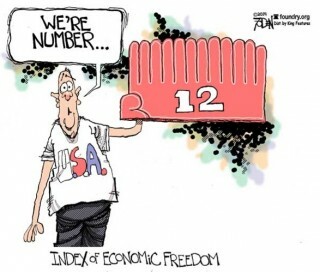 The United States has fallen to 12th place (tied with the UK) with regard to economic freedom, a staggering drop from 2000, when it ranked 2nd in the world…. …Laws that were meant to decimate drug organizations are now being used as a routine source of funding for law enforcement at every level. They allow police units and FDA agents to seize cash and property without proving that any crime has actually occurred. The victims are being required to prove that they legally possess their own assets, which turns the United States Constitution on its head. Instead of protecting American citizens from the deprivation of life, liberty or property without due process, the law is being used to deprive them of their assets by force. A more stunning indication of that the US is now a police state would be difficult to imagine. «BEGINNING NOVEMBER 5, 2015 REQUEST A CONGRESSIONAL HEARING ON THE EXTRATERRESTRIAL PRESENCE WITH US!